Next: Finviz Review – Is it the best stock screener? A successful investor discovers winning stocks before the rest of the market discovers them. That’s why if you are serious about learning how to become a good investor, then you should consider a real-time service like the Motley Fool. The Motley Fool claims their portfolio is up 380% compared to the SP500’s 85% since inception of their top selling newsletter. Is that accurate? If so, how exactly did they do it? Well, we purchased subscriptions to their top selling products in 2016 to find out the truth. After 3+ years of paper trading their picks, and now 2 years of actually trading their picks with our real money, we have discovered some very interesting facts about the Motley Fool Stock Advisor service and their stock recommendations. How do they get these great returns? From our experiences over the last few years, we have discovered that they are very good at recommending a few stocks that double and a few stocks that triple EACH year. They find these stocks because they are very good at identifying new products and services in high-growth industries. As a recent example of their stock picks that double, in November of 2018 they recommended GH which we then bought at $38.22. As of March 29, 2019 it closed at $76.70 so that pick is up over 100% in 4 months. In November 2018, they also recommended Mastercard, MA, which is up 19%. So in 4 months it is up 19% which annualized might be up 57%. In December 2018, they recommended TLK which is only up 2%. So far this is a neutral pick, but we will wait and see. As another example of one of their picks that might double or triple, in the first week of January 2019 they recommended TWLO which we bought at $88.01 and it closed on March 29, 2019 at $129.18 for a gain of 47% in just 2 months. Annualized that might be 282%. Then later in January they recommended APPN but it is only up 1%. Another neutral pick. Then in February 2019 they recommend GH again when it was at $46 and we bought more of it. With it closing at $76.70 on March 29, 2019 we are up 76% on those shares in just one month! They also recommended HA in February and it is down 20%, but we always place 8% stop loss orders on all of the stocks we buy so we lost 8%. So, as you can see from their picks in the last 5 months, from November 2018 to March 29, 2019, 1 of their picks has already doubled, 2 are up 76% and 47%, and the others are up 19%, 2%, 1%. On one pick we lost 8%. But overall, with these 7 picks our average return is 33% in just 5 months. Do all of the Motley Fool stock picks perform that well? That’s a great question. Before I answer that question, you need to understand something about their service. They generally recommend 2 stocks per month, so each year that is about 24 specific picks. For 2018, 17 of their 24 picks are up. The average return of their 24 picks is 28.68% compared to the market’s 5% return. For 2017, 22 of their 24 picks are up. The average return of their 24 picks is 52.20% compared to the market’s 22% return. You should also know that 9 of these picks are up over 50% with the top performers being stock tickers “TTD” up 225% and “PAYC” up 175%. For 2016, 18 of their 23 picks are up. The average return of their 23 picks is 97.53% compared to the market’s 45% return. Note that 11 are up over 50% with Shopify (“SHOP”) up 523% and Match (“MTCH”) up 425%. Yes, those results are quite impressive and I wouldn’t believe it if I hadn’t bought all these stocks myself. There is definitely a “Fool Effect.” Within the first 2 hours of their stock recommendations being released, the stocks tend to shoot up $2 or so. Then within the first 2 days they creep up a little more as the word gets out. So if you do subscribe, it is always best to get your buy order placed immediately when you get their BUY ALERTS. 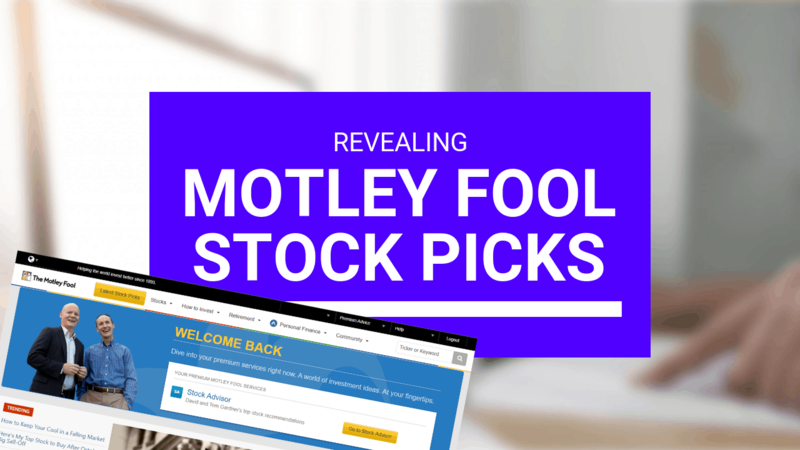 So, in conclusion, if you are looking for a source of solid stocks picks, you can’t go wrong with the Motley Fool. I find that it takes the stress our of researching, analyzing and picking stocks. And it has helped my overall portfolio increase dramatically since I started subscribing 3+ years ago. Last year their service was $199 a year, but they recently lowered their price and changed their pricing model. you can pay $99 a year (which is just $8.25 a month). They have also just released their TOP TEN BEST STOCKS TO BUY list on March 29th. So now is a good time to subscribe. If you want more information, then keep reading. Below I will reveal more of the Motley Fool’s top stock picks with an analysis of each of them. …and the performance of these picks have led to market-crushing performance. Motley Fool focuses on finding stocks that have the best chance of outperforming the broader stock market. They were one of the first newsletters to recommend stocks like Netflix (up 14,886% since they recommended it), Priceline (up 7,137% since they recommended it), AMZN (up 10,487% since they recommended it), DIS, MAR, …. the list goes on. They really do have a strong track record of picking a few stocks that double or triple each year, and that is why their performance over time is so much better than the market overall. But has anyone ever verified whether these “great” results are true? In 2018, they recommended 24 stocks and as of March 29, 2019 we are impressed. Of these 24 picks, 17 are up and 7 are down. But true to their history, one of their picks has tripled (OKTA), 2 have doubled (PAYC, OKTA-recommended again), and 3 are up about 50% (ZS, SHOP, FICO). Having a few stocks perform like that is really essential to boosting your portfolio’s overall return. Having those stocks triple and double is how their picks beat the market by 22% in 2018. In addition to 1 or 2 monthly picks, the Fool also provides other alerts or BUY LISTS like the ones below. …to review and analyze the company’s claims against actual performance. So, how did these stocks perform? You are about to find out if they deserve to be on our list of the best stock newsletters. Chipotle has its work cut out if it ever hopes to reclaim its former glory. However, CEO Steve Ells will be stepping down should give shareholders some hope. Shares were up 6% on that announcement. Chipotle has not yet found its new CEO, but if the company can find the right person, shares could enjoy a significant upside. Where they are today: Chipotle continues to move in the right direction. The “turnaround is looking for real,” says Morgan Stanley analyst John Glass. Recent results have shown a meaningful, positive trend change in sales with more initiatives in the early stages or still to come. Sweeping changes to personnel and internal processes are producing excellent results, and the EPS estimates do not adequately consider what is possible under new management. The new management comes in the form of Brian Niccol, Taco Bell’s former CEO. Niccol has been successful in putting the company’s myriad of troubles behind. The verdict: CORRECT! This stock almost tripled!!! Motley Fool Analysis: GoPro is ready for a turnaround. The camera maker was an immediate disappointment from its Initial Public Offering (IPO), as it became clear that the market for action camera makers was a lot smaller than the company had previously hoped. Shares peaked at $87 for several months but dropped into single digits after investors realized the company’s products would not achieve widespread adoption. One likely scenario would be an acquisition. GoPro has retained JPMorgan to help advise on potentially selling the company. CEO Nick Woodman clarified that the company was not actively seeking a buyer and would prefer to remain an independent company. Depending on how GoPro shares perform, and whether an interested buyer comes along, this stock could potentially double in the event a strong acquisition offer is made, or a bidding war emerges. Where they are today: The Company plans to translate the strong momentum in its business along with controlled cost into growth and profitability in 2019. GoPro remains optimistic about its prospects, primarily on its strong demand for its product in end markets. GoPro also reported 199,000 active paying subscribers to its GoPro Plus subscription offering, marking a 50%-plus increase from 2018. However, at this point, GoPro has not proven to best the most compelling investment. GoPro has done little to show that they are turning around slowing camera sales or enter new markets to create new revenue streams. The company needs to turn device sales around, but we are wondering if they have maxed out most of its opportunities in the action-camera market. The verdict: CORRECT. This stock didn’t double, but it is up 20%. Motley Fool Analysis: Just like GoPro, Fitbit is a promising candidate for a turnaround year. Fitbit went public in mid-2015, shortly after Apple Launched its first Apple Watch. Ever since Apple Watch has been dominating the multipurpose smartwatch category while eliminating single-purpose wearable devices like Fitbit’s fitness tracker. The rise of multipurpose smartwatches is a dangerous trend for Fitbit. However, the company is not ready to die. Fitbit started acquiring smaller companies in 2016 that would lay the foundation for its smartwatch strategy. Last year, Fitbit released the Ionic, Fitbit’s first full-fledged smartwatch that can support third-party apps. Whether the Ionic can turnaround the brand remains to be seen. However, early success could allow Fitbit to accelerate the development of its smartwatch platform. Where they are today: Fitbit had several bright spots in 2018 and seems ready to move forward. Last October, the wearables bellwether gave a blowout financial report. Fitbit posted a profit after seven consecutive losing quarters of year-over-year revenue dips. The sales turnaround came as a result of Fitbit’s second run at the smartwatch market, this time pricing its products more competitively than the market leader. Smartwatch sales now account for nearly half of Fitbit’s revenue. Fitbit is off to a strong start in 2019, and the stock has been reflecting this positivity. However, the end of 2019 is far away, and Fitbit has much to do to convince us that they will continue trending upward. The verdict: CORRECT. This Stock up 16% but didn’t double. Motley Fool Analysis: This Company seems like an unlikely candidate to double in 2018, especially since shares tripled in 2017. But, if you consider the underlying cause of 2017’s performance, there are reasons to be optimistic about the continued adoption of Universal Display’s OLED technology, which allows for thinner screens with deeper blacks and higher contrast. The OLED industry continues making progress in ramping production capacity to accommodate this demand from consumers and gadget makers. IHS Markit predicts that global AMOLED (active-matrix OLED) panel production capacity will more than quadruple over the next five years, which would benefit Universal Display as the primary seller of OLED materials and licensor of OLED technology. Where they are today: Business was down for Universal Display in 2018. There are many reasons for the stocks sharp decline; the most significant reason being the change in revenue recognition related to the new accounting rules that went into effect in 2018. Under the old standard, 2018 sales would have been nearly 6% higher. With that said, Universal Display’s revenue grew 69% in 2017. That statistic represents a dramatic decrease between 2017 and 2018. However, Wall Street still expects dramatic improvement for the company in 2019. Management contends that strong growth is coming as OLED technology becomes the standard in the world of digital displays. If you think OLED screens are the next big thing – this stock is worth another look in 2019. The verdict: NEUTRAL. This stock is up 7% but hasn’t kept up with the market. Motley Fool Analysis: Okta is a young company that has quickly become a leader in the growing identity and access management (IAM) sector, and Okta is already putting up strong growth rates after going public nearly a year ago. Larger companies have started to pay more attention to IAM, with Alphabet subsidiary Google acquiring Bitium last year in a move that largely validates the importance of IAM in the years ahead. With a market cap of $3 billion, Okta still has plenty of room to run as the IAM industry grows in step with the broader cybersecurity industry. Where they are today: Shares of the cloud-based identity-management specialist were up over 149% in 2018. The company continues to climb closer to profitability on the back of excellent revenue growth. Okta did achieve a breakeven bottom-line result in the third quarter of the fiscal year 2019. Additionally, top-line sales grew 55% higher year over year to end up at $106 million. In 2019, the company continues to carve out a unique niche in the computer security market with an emphasis on authentication and logins. For now, it is all about the revenue growth which has shown no signs of slowing in 2019. Regardless of performance this year, there is an undeniable wealth of long-term growth potential with Okta. The verdict: CORRECT! This stock almost tripled! The following stocks have been big winners for a long time. However, there is plenty of opportunities left for market-beating growth with these stocks. Each of these companies has either been a significant catalyst for, or one of the primary beneficiaries of, a major social trend. Motley Fool Analysis: Apple is not the dominant smartphone maker worldwide, or even in the United States – that honor goes to Samsung – and it doesn’t have the dominant operating system – that goes to Android. However, Apple does have pricing power with customers in its sizable niche markets. Apple’s update cycle, where the company convinces customers to buy the newest iPhone each year, remains alive and well. The iPhone X was the world’s top-selling phone at one point, and the Apple Watch and iPad are showing accelerating growth as they seize market share. Each of these products, on their own, represent a credible path to continuing growth for Apple. Include the launch of Apple’s HomePod, and there are plenty of reasons for the growth to continue for Apple. Where they are today: Apple investors have seen rough times over the last few months. Since the company reached $233 per share back in September, the stock has plummeted 40% after the company announced it would miss first-quarter estimates. Is the sell-off an indicator to leave or get in on Apple? Well, the company is growing service revenue at a steady clip. The company is still retaining customers and expanding its user base. And lastly, they are starting to focus on the health and privacy of the Apple brand. These are three positive long-term drivers and could be priced at a significant discount. If you are a long-term investor – we think Apple is a buy. Motley Fool Analysis: You probably know Alphabet better by its old name, Google. Google is the dominant search ending worldwide, with nearly 92% global market share. Apart from the search engine, YouTube is another Alphabet property, and its rise has coincided with a lot of people spending a lot more time online. Alphabet’s core Google and YouTube properties still have room to grow. There is more opportunity for each platform as the Google team continues to build out their data analytics to get marketers a high return on investment. Additionally, Alphabet’s “moonshot” initiatives are unlikely to pan out but taken as a whole; they offer many compelling opportunities that few successes could do a great deal to drive the company forward. Where they are today: Regardless of what the market does, Alphabet remains on course to keep gaining. People are not going to stop searching the internet or watching YouTube videos because the market is down. Additionally, Alphabet has many initiatives that could pay off in the future, even if they are not adding much to the bottom line. For these reasons, Alphabet performed great in 2018 and looks like a promising stock for years to come. Alphabet’s multiple revenue streams and durability make it an excellent buy in 2019. If you are thinking beyond 2019 – Alphabet remains a great pick, still. The verdict: CORRECT. The stock is up almost 10%. Motley Fool Analysis: Amazon is many things to consumers which highlights Jeff Bezos’ vision for a company that began as an online bookstore. Beyond books, Bezos has launched a full-scale assault on brick-and-mortar stores across a variety of different sectors in consumer goods and tech – with huge implications of Amazon’s top and bottom lines. Amazon’s Prime subscription is more a gateway to its core consumer purchasing platform than anything else. The majority of Amazon’s revenue still comes from product sales, which grew 17% year over year last quarter. Its business-focused Amazon Web Services has become a very popular offering and shows another path of growth to the company. With this in mind, Amazon’s dominance across different aspects of e-commerce is only accelerating. Where they are today: Amazon stock gained 28.4% in 2018. This performance is an impressive one given that the S&P 500 and NASDAQ indexes returned negative 4.4% and negative 3.9%, respectively. Amazon stock continues to look more attractive from a valuation standpoint than it has in a long time. We can mostly attribute Amazon’s success to the company’s strong quarterly results. All four quarters reported in 2018 crushed Wall Street earnings estimates, along with the company’s own operating income guidance. The two significant drivers were North America segment’s operating-income growth and Amazon Web Services increasing profitability. With that said – Amazon stock crushed 2018 and is looking for more in 2019. The verdict: CORRECT! The stock is up almost 20%. Motley Fool Analysis: Facebook, as a social media app, has an enormous impact on society. Facebook influences how we interact with each other, consumer news, play games, and even shop online. And do not forget about Facebook’s Instagram and WhatsApp brands, either. Facebook plays on many of the same trends that have helped the other companies grow to such market dominance. Facebook is heavily monetizing its namesake platform for ad revenue, and its begun the same process with Instagram, though it has a ways to go before Instagram’s platform is fully saturated. Facebook Marketplace – a way for people to sell their products directly on the website – now has over 700 million unique users, with growth continuing to ramp up. Where they are today: We saw Facebook stock drop more than 20% in 2018 due to concerns about the company’s decelerating growth and ongoing privacy and security issues. Additionally, rising interest rates and broader sell-offs of high-growth tech stocks only made matters worse. However, we must not forget that Facebook remains the world’s top social network and does not face any serious competition. Furthermore, even though Facebook’s operating margins are slowing down and the company’s operating profit is coming down, the company is still extremely profitable. The verdict: WRONG. Stock is down 5%. Motley Fool Analysis: Netflix has led the charge on the destruction of traditional video stores and its DVD-by-mail rental service began a trend toward receiving goods at home instead of going out to stores to shop for them. The rise of Netflix has also encouraged Americans to “cut the cord” and remove their expensive cable packages in favor of the cheaper Netflix subscription. Netflix has also benefited from the continued improvement of consumer TVs, which has encouraged people to stay home rather than go to the theaters. Lastly, consider Netflix has nearly 111 million global paid subscriptions, just under half of which are US-based. As Netflix further expands its dominance globally – and a subscription becomes a social expectation increasingly outside of the United States – profitability will keep growing. For more growth stock picks, you may be interested in Motley Fool Rule Breakers. Where they are today: Netflix reached an all-time high in 2018 but plunged more than 40% afterward. But remember, the company finished up more than 20% in 2018. With that type of rollercoaster ride, is Netflix a buy or is the stock falling for good reasons? Let’s admit it – Netflix has had an incredible run, bringing streaming into the mainstream and disrupting television as we know it. We expect these results to continue, but possibly at a slower pace in 2019. The verdict: CORRECT! This stock is up almost 20%. When you subscribe to the Motley Fool Stock Advisor service, you get 2 types of recommendations. First, you get 2 BUY ALERTS each month where an individual stock is recommended. Second, you receive a few recommendations of a short list of stocks. One short list in 2018 was of stocks they feel were likely to double. Another short list they recommended in 2018 was of stocks they felt were strong stocks that still had a lot of room to run up. As of March 29, 2019, our tracking of their 2 monthly picks shows that 17 of 24 of the The Motley Fool’s 2018 picks are up. That’s a 71% success rate. That puts them in the “above average” range of the dozens of newsletters that we track, given the SP500 is up 4% for the same period. However, their overall performance puts them as our BEST STOCK NEWSLETTER of the dozens we track with a return that is 22% higher than the overall stock market (as measured by the SP500 Index). How did they do it? They beat the market because one of their 2018 picks has tripled in price, 3 have almost doubled, and 3 are up 50%. THAT is what makes this newsletter service our #1 performer. They have a habit of picking few stocks each year that double and triple to make up for a few of their losing picks. Of course, for legal reasons, I can only share “some” of their top stock picks since I have been a subscriber. If you want to see more analysis, visit this article to see more of their picks since 2002. But if you want their top picks delivered to you in Real-time, click here to order their service now for $19 a month or $99 a year. You can cancel within 30 days and get a full refund. I have subscribed to this service for 4 years now and I buy all of their recommendations in my ETrade account. I then put a 8% stop loss on all of their picks just to limit my losses on their bad picks. 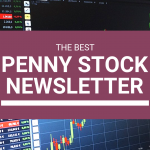 If you want to see screen shots of my Etrade account, then read this article on the best stock newsletters where I show you their 2019 picks. No one can predict the [unpredictable] stock market with 100% accuracy. But the Motley Fool predicted the stocks above to succeed in 2018, and most of them did! …the Motley Fool is accurate! These guys were correct about 80% of the time, neutral 10% of the time, and wrong 10% of the time. But several of the ones the were correct on doubled or tripled in price. That means, if you follow their picks, you will outperform the market. In such an unpredictable market, we will take those results any day! So, can you rely on the Motley Fool? In 2018, you certainly could and 2019 looks equally promising! Their January pick is up 56% as of March 29, 2019. They are about to release their next stock pick on Thursday. To get that pick as soon as it is released, sign up on the link below. Buy the Motley Fool Stock Advisor. 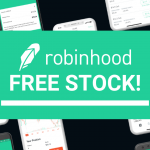 Click here to pay $19 a month or $99 for the year to get their next 24 stock recommendations. You can cancel it within 30 days and get your money back. 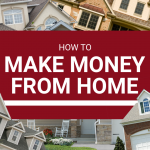 Expect to make at least 24 purchases a year, so allocate your cash accordingly. When you get their email BUY ALERTS, place your order as soon as possible. Put 8% stop losses on all of their picks. Don’t panic. Some of their picks take a few months before they start to really move up.